Course Website: Official Website - Visit Oasis (Canyons)'s official website by clicking on the link provided. 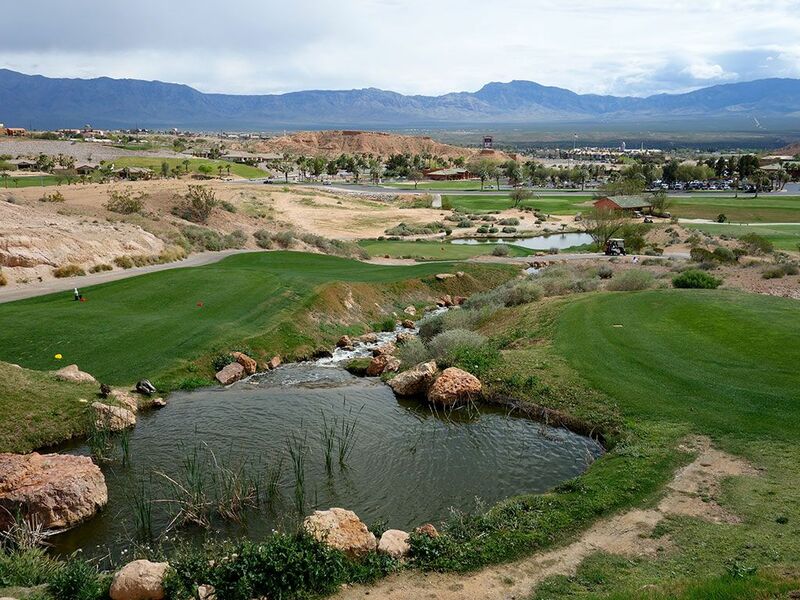 Accolades: Ranked 20th in Nevada on Golf Course Gurus' Best in State list. 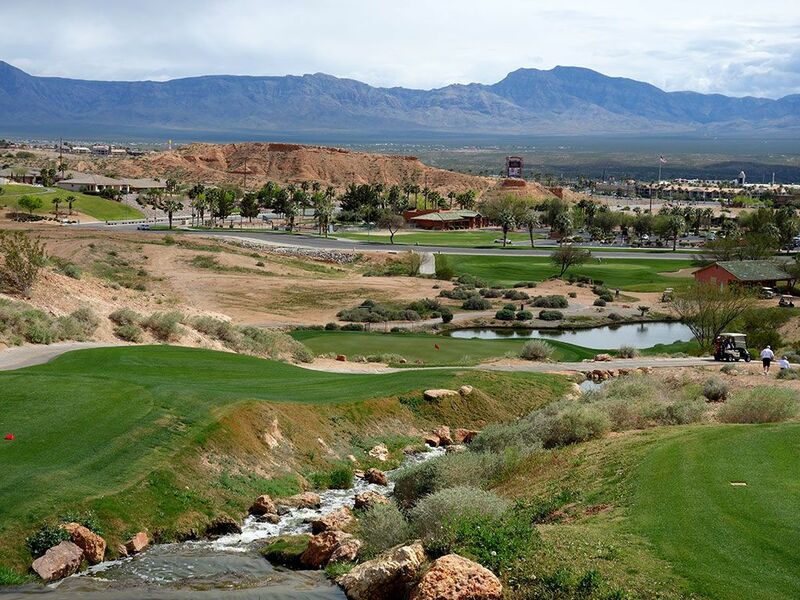 What to Expect: The Canyons course consists of nine holes that were designed by Arnold Palmer and Ed Seay as part of the original 27 hole development and is now paired with nine holes designed by David Druzisky ten years later. The front nine (Druzisky) features some dramatic elevation drops and doglegs while the back nine (Palmer) features a little more length and challenge. 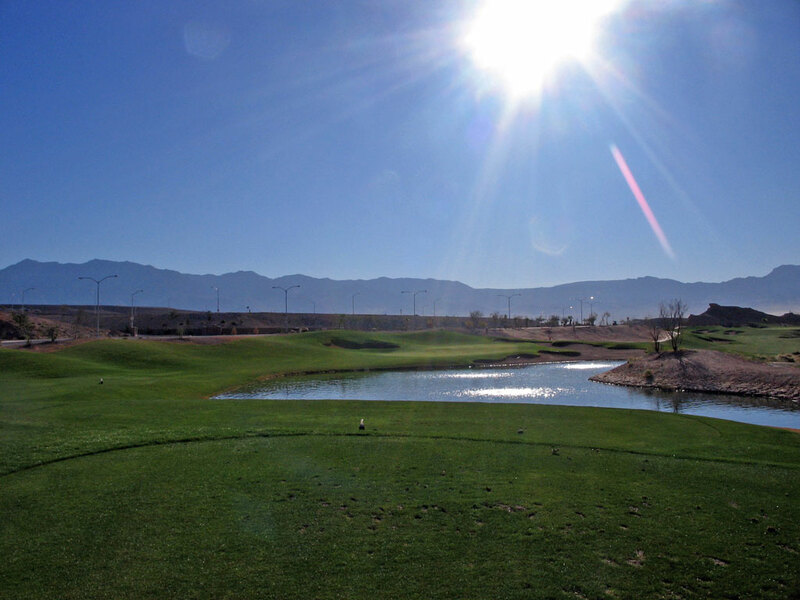 Much of the course winds through desert arroyos and residential development which can create some tighter fairways to hit to, but the length is manageable enough that you certainly don't need driver on every hole. 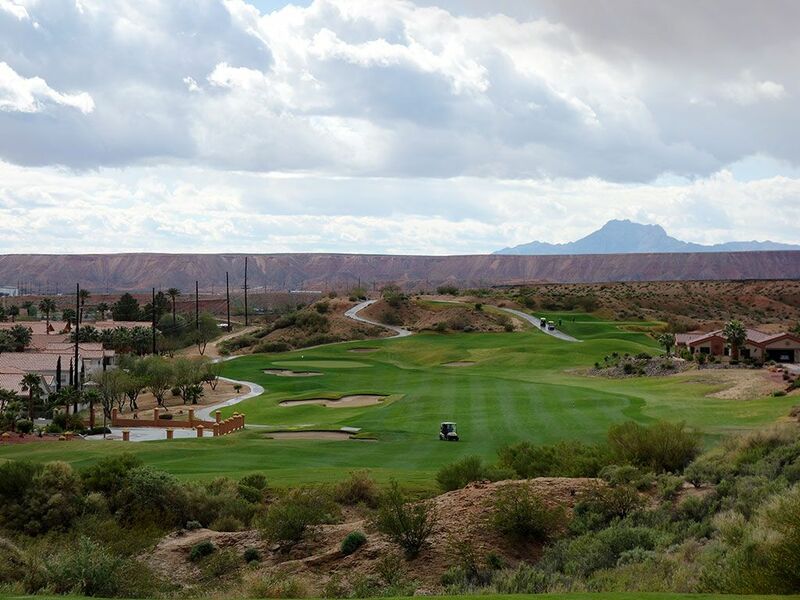 The Palmer course gets more play than the Canyons course but the Canyons is gaining in popularity as the conditioning has stepped up considerably from the infancy days of the track and offers some memorable shots. 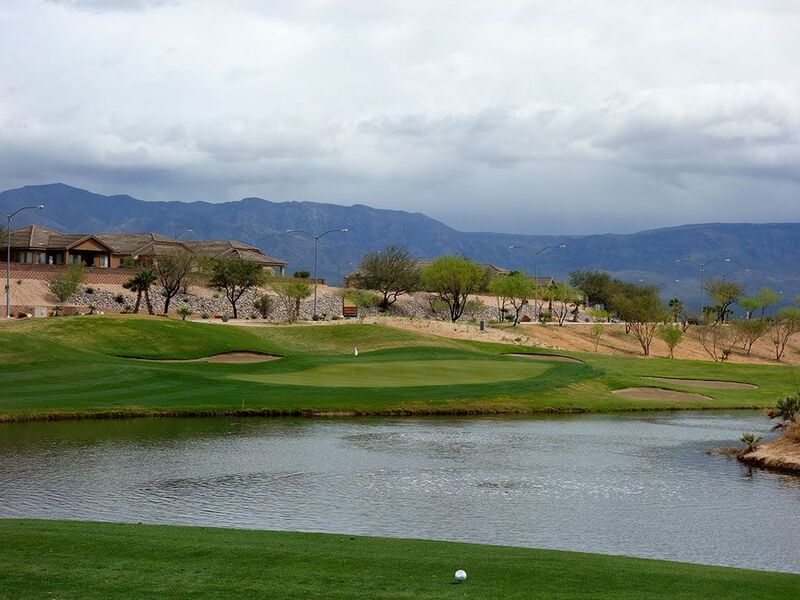 If you have aspirations of walking the course, you need to quickly bury those feelings deep, deep inside you because no one in their right mind would walk this track due to the severe elevation changes and large gaps between greens and tees. 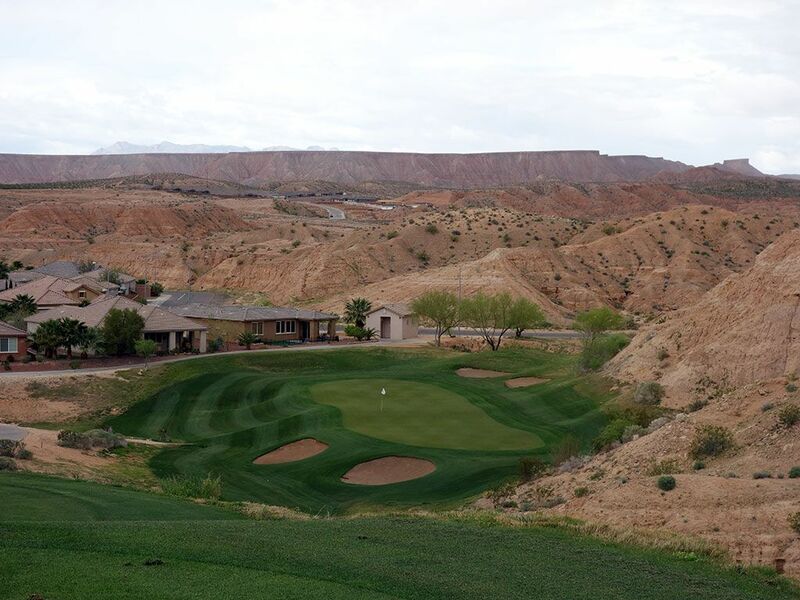 Being the only 36 hole facility in Mesquite or St. George, Oasis can offer some attractive packages to play both courses in the same day so be sure to take advantage of that. Signature Hole: 9th Hole – 175 Yard Par 3 – A 1-2 club drop awaits players on the signature 9th hole that plays over a creek and series of waterfalls enroute to the green below. The descent is steep enough that hole placements at the front of the green aren't visible but the top half of the flag is. Water comes into play short and long of the green so distance control is paramount on this approach shot which can be a bit sketchy when considering the elevation change. 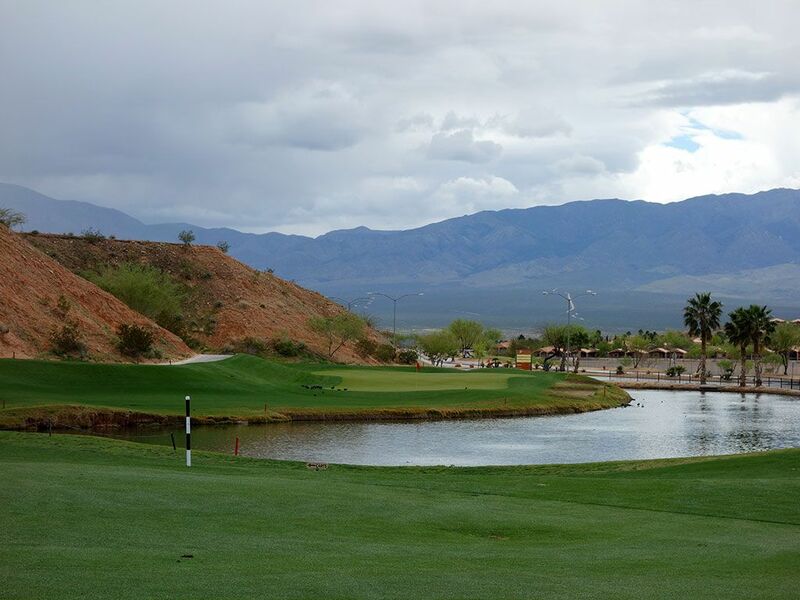 With mountains and palm trees creating the backdrop in the distance, all of the elements of the 9th hole combine to create one of Mesquite's most memorable and scenic holes. Best Par 3: 4th Hole – 169 Yards – Another one club drop awaits on the 4th hole that features a deep green with a pair of bunkers front left and two more rear right. Don't plan on getting any roll on your tee shot as the descent will get your ball to stick near its landing spot. The safe miss is left of the green where plenty of grass exists and allows you to chip back uphill to the pin where distance control all be much easier than chipping downhill. Best Par 4: 6th Hole – 392 Yards – My favorite question to ask staff members and patrons is, "What is your favorite hole?" The answer that came back every time at the Canyons course was #6. This hole features a sharp dogleg left around a hill before terminating at a pond that fronts that green. If you were in a scramble, you would probably have one guy hit a safe shot out to the corner of the dogleg and then let the other three players take a rip at the green by bombing their drives over the mountain and hope for a lucky roll onto the putting surface. Best Par 5: 16th Hole – 512 Yards – A scoring opportunity awaits on the reachable 16th that features yet another downhill tee shot that will give you some extra yardage. Do everything you can to avoid the left side as all of the bunkering exists on the left as do some o.b. stakes while the right side features a more generous landing zone and superior angle into the raised green. The generous entrance to the putting surface from the right side is perfect for aerial or ground shots to work their way near the hole. Birdie Time: 7th Hole – 138 Yard Par 3 – The shortest hole on the course presents a great chance to hit a green in regulation and thus roll in a birdie putt. With a 9-iron or less in your hand it is time to go pinseeking over the pond to the tiered green. Don't get suckered into the back right hole location and just hit the middle of the green. As a side note, I aced this hole back in 2006 shortly after the new nine opened. 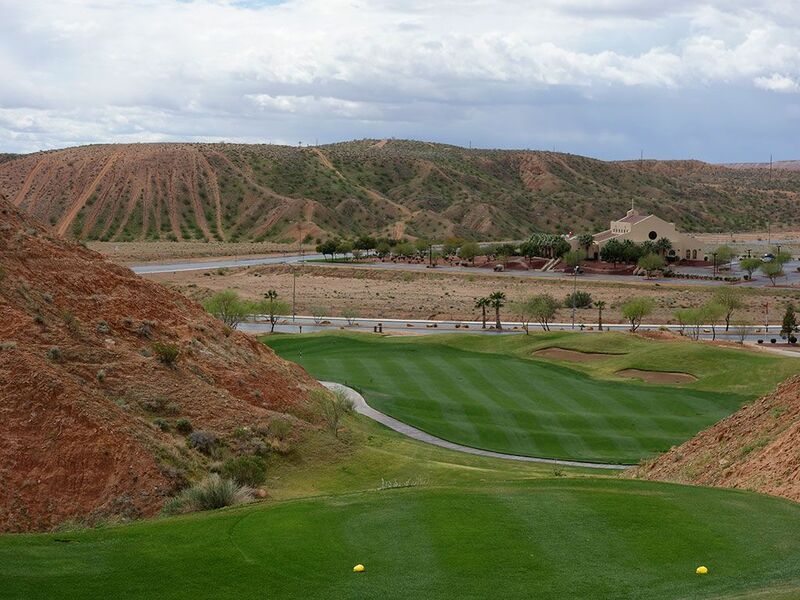 Bogey Beware: 10th Hole – 423 Yard Par 4 – The back nine starts off with the hardest hole at the Canyons course with this uphill two-shotter. The further up the fairways you go the tighter it gets so you have to decide whether you value length or accuracy more off the tee. 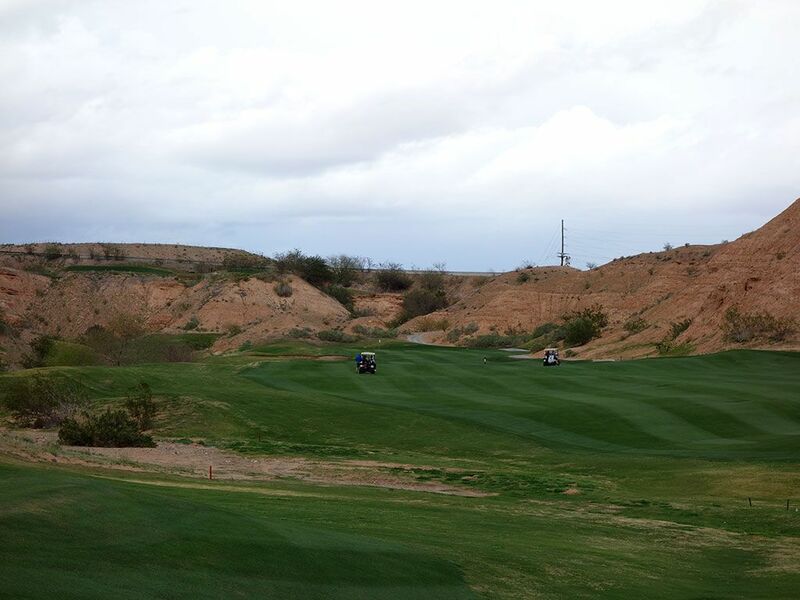 The green sits at the base of a pair of desert hills that can sometimes mask the amount of wind swirling above. If you can avoid bogey here then you have a great chance of going on a strong run during the back nine.